Last Friday’s Art Walk featured a Photovoice Gallery showcasing photos and interview excerpts from Francis Place residents. Approximately 100 people attended the show. 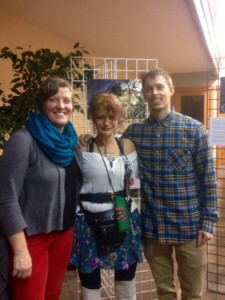 The Francis Place Photovoice Gallery was put on through the support of Francis Place, The Opportunity Council, Allied Arts, WWU Medical Anthropology Lab, The Downtown Bellingham Partnership, and She Goes Media. And a big thank you goes to Peter Miterko for putting the exhibit together! Children’s Art Walk is almost here!